Looks like Sean and company had a good trip out to the Wilmington canyon yesterday reporting a sword fish some yellow fin tuna, mahi mahi and a nice mess of tile fish. The bite continues so get out there when the whether allows. Larry V from Blue Anker NJ had a whopper flounder to day. 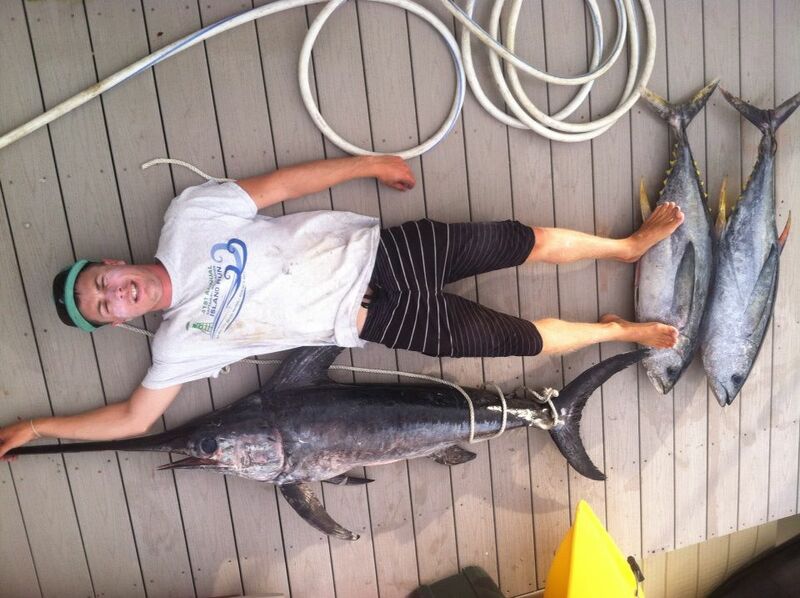 10 pounds 8 ounces taken on a shoal just off Sea Isle. This monster ate a buck tail tipped with a big long strip of Squid. The fish where dam near jumping in the boat this weekend with great reports of many fish in the 4-7 pound rang but this fish was tops. T.I. reef, O.C. reef, Avalon shoal, peacock shoal, and many other spots all had good action. The best rig was a big buck tail 3-6 ounces with a high hook. The best baits where GULP! mackerel, and Squid. The ocean fishing is getting very HOT so go get some.